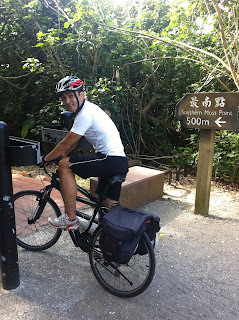 In October of 2012, I traveled around Taiwan in a rented bicycle; I spent 12 days riding counter-clockwise across 1,200KM of various terrain in one of the most exhilarating trips of my life. Below is a short recap of my trip and the step-by-step guide to help you plan an around-the-island trip of your own. Anyone with an average level of fitness could do this! Decide if you want to ride by yourself or ride with a pre-organized tour group. Tour groups tends to be shorter (8 or 9 days), so you will be pushed to ride over 100KM per day, allowing you less time to explore and sight see. On the plus side, you do not have to worry about anything and can just show up; it is obviously also safer to ride in a big group. The place where I rented my bike provided almost everything including the bicycle, lights, bicycle bags, helmet, locks, GPS and a wealth of information. Website - http://www.bbkz.com/forum/showthread.php?t=442130. The owner does not speak English; if anyone need help contacting them, let me know and I'll be happy to help. For other clothing, just bring quick drying stuff (Underarmor shirt, underwear, etc) as I don't recommend you bring more than 2 changes of clothing which means that you are doing laundry every night. That's it for the how-to guide. Get in touch with me if you need more info! I initially planned for this to be a solo trip but after some effort, I finally managed to persuade my flatmate to join me. What I originally thought was going to be a ride in the park, given my confidence in my fitness level, was more like the most physically demanding week I've ever experienced. The whole journey took 12 days spanning across a distance of 1,200KM. The first day started off not ideally given that we took 5 hours to traverse only 22KM, exactly the amount of the distance that took us back to the airport, which the cab traveled in 1 hour. I think we were both a bit deflated at this point, because at this pace, it would take us more than a month to finish our trip. However, the delay was mainly due to the rain that started right when we started our ride and the rush hour traffic that took us hours to get out of the city of Taipei. So my first word of advice is to avoid Taipei rush hour at all costs! The second day was remarkably better. We did 140KM (our longest distance rode in one day) in 9 hours. At the end of the day, we made up all the distance that was lost from the rush hour traffic of the previous day. The weather was perfect and the scenery was much better now that we were outside of the city. The best part of the day was when I was going up this particularly difficult hill; this truck driver rowed down his window and yelled out "jia you", the literal translation is "add oil", and is what Chinese people say to encourage each other. I thought that was a extremely kind gesture, so I rode on, reinvigorated. Once we turned the corner at the souther most tip of Taiwan and started going back Northward back up to Taipei, the ride's level of difficulty increased a hundredfold. I had planned for the first day of our Northward riding to take us from Kenting to Taidong, a ride of 130KM, which we have done before. We ended up riding 100KM and ended in a random town in the middle exhausted unable to ride another step. What had happened was that the terrain and airflow completely changed on the west coast. There were a lot more mountains and we were riding against the wind the entire time. Southern most tip of Taiwan! I'm pretty much against cycling once the sun has gone down since the chances of a accident goes up dramatically once darkness falls, but on this first day of our Northward journey I was still in the middle of nowhere when it was completely pitch black outside. There was one point where I was on this two lane highway with no street lights, the mountain was on my left, and the cliff was on my right, I was riding on the skinny shoulder of the highway so close to the ocean that I could literally feel the splash on my face and hear the crashes of waves upon waves. During the day, this would've have been beautiful, but at night all alone, with only a small flashlight for comfort, this was pretty terrifying. To make the situation worse, I was approaching a two way narrow tunnel with no lights inside. I sped up so that I could get through the tunnel in the shortest amount of time since the chances of an accident in a tunnel for a cyclist goes up 100000 times. Just as I was about to enter the tunnel, my flash light turned off - the battery died and I have no spares. There wasn't even anywhere to stop and brainstorm. So I sped up some more and hoped for the best. Now I was in the middle of the tunnel. Pitch black, aside from the lights from the trucks passing by. All I could hear was their honking noise as, I guess, the truck drivers realizes that there is this stupid lone cyclist in their midst. Anyways, I was almost out of the tunnel, I could see the end. But just as I was celebrating inside, the contact lens of my left eye falls out by itself. I guess I was so focused on avoiding to get hit that I haven't really blinked since entering the tunnel; the dryness caused my contact lens to simply peel off. Now I was essentially blind in one eye, still pitch black tunnel, still trucks honking. I thought if I was going to die, this is probably going to be it. But as I weaved on my bike, I was surprised that I didn't get hit by a truck. I made it to the other side of the tunnel and breathed a sigh of relieve. I went to the next convenience store on the highway to rest and regroup. So my other advice is to bring enough batteries! And remember to blink. The rest of the journey on the West coast going North was difficult, but nothing compared to the first day leaving Kenting. We took 5 days to travel from Taidong to Taipei. 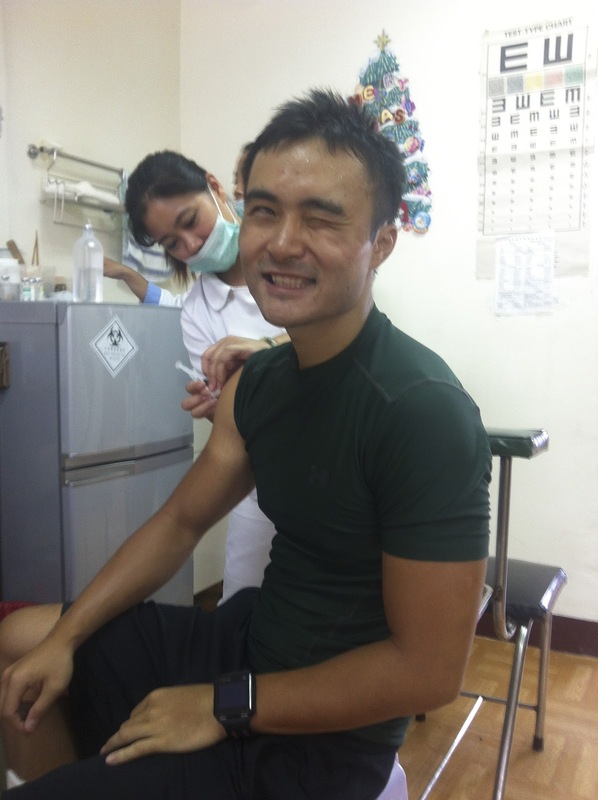 Along the way, we met tons of other around the island riders, I had to get a tetanus shot, randomly got in the middle of a triathlon, etc. We rode back to the bicycle rental shop on October 16, at 3:30PM. It was a very difficult trip but I would've totally do it again and I think anyone with an average level of fitness could complete. Hi, may i know how much is the bike's rental fees from the place when you rented your bike? Great blog post on your trip. Just to note that is seems you rode down the West Coast first, then the East Coast. Thanks for the shout out to my blog. Really appreciated that. Completely agree with you on the issue of riding at night. Also, I had three lights on the back and two lights on the front of my bike in case of failure and to ensure I was visible. Glad you had a good time riding around Taiwan - Taiwan is an awesome place to cycle and the round island tour possibly the best. I think doing it independently of tour groups is better (as you say) as you have more freedom. Anyway, once again thanks for the shout out and good luck on your adventures. Hi, how much did you spend at the bike shop on rental of all your gear; bicycle, lights, bicycle bags, helmet, locks, GPS? Hey I found your blog absolutely brilliant! In headed to Taiwan in about ten days and I was planing on riding the whole island, I thought you might be able to help me with some useful places to get a bike or give me some good suggestions. I can't seen to find your e-mail? Thanks for sharing your experience. Totally looking forward to doing some riding come March/April next year! Sorry guys I haven't been checking the comments section since i've completed my year long trip. My email is actually in the About page. but here it is "josh dot du at gmail dot com"
Absolutely cool and exciting! Thanks so much for sharing and inspiring! 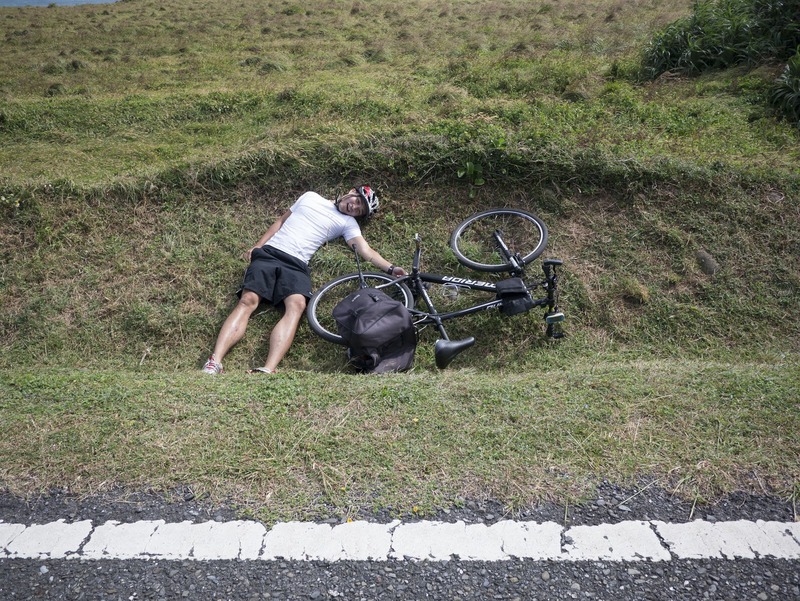 I am finding it very difficult to contact anyone in Taipei about renting a bike. Do you have any other email addresses I could use? 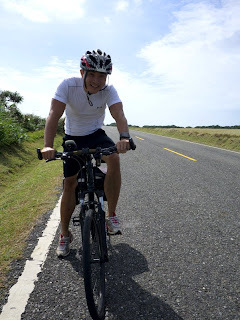 I used to cycle through Vietnam in 2015. Now I am a student in CCU- Chiayi, I wanna cycle around Taiwan. Great post.They can be helpful to those who are looking for good bike deals. Most informative. Thx! Super! How to take one year off with minimal interruption to your life and my story!